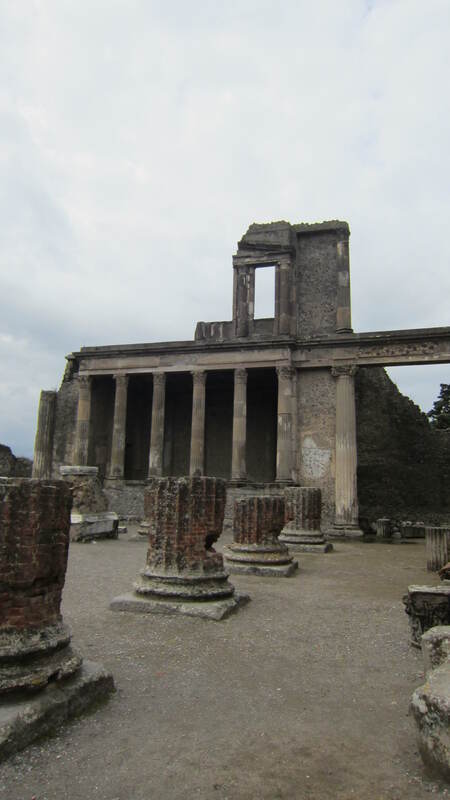 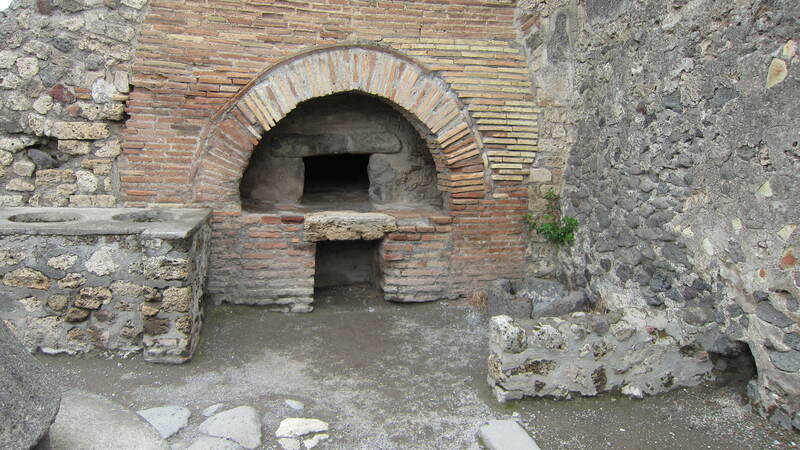 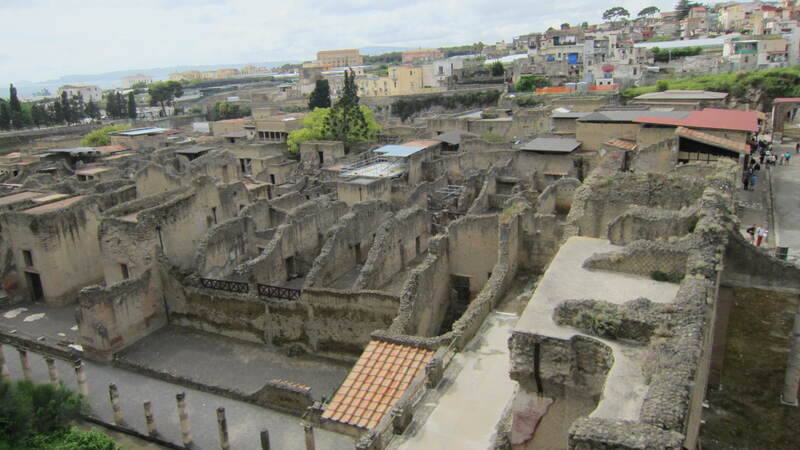 Pompeii and Herculaneum are towns that were obliterated by the eruption of Mt. 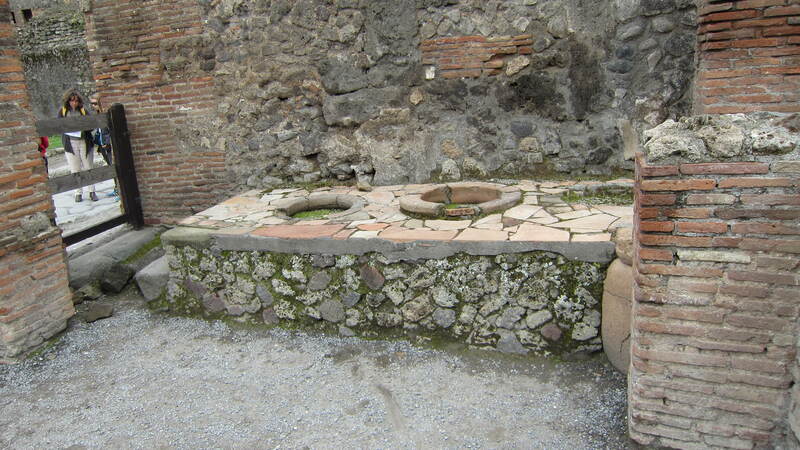 Vesuvius in 79 A.D. Pompeii is a more well known, and famous site. 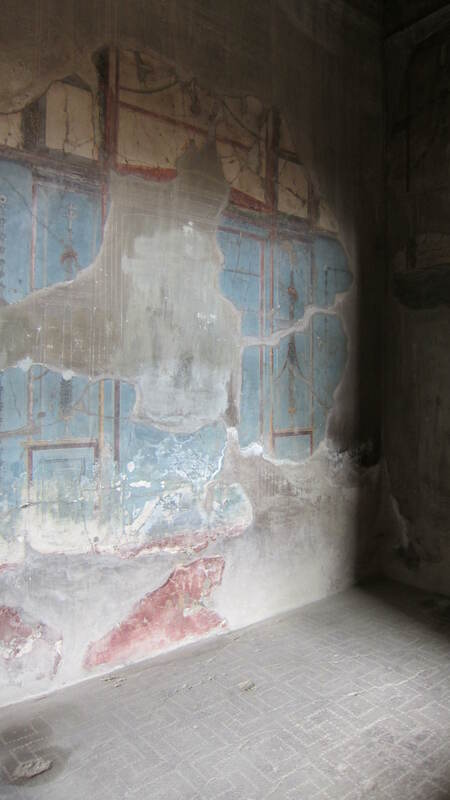 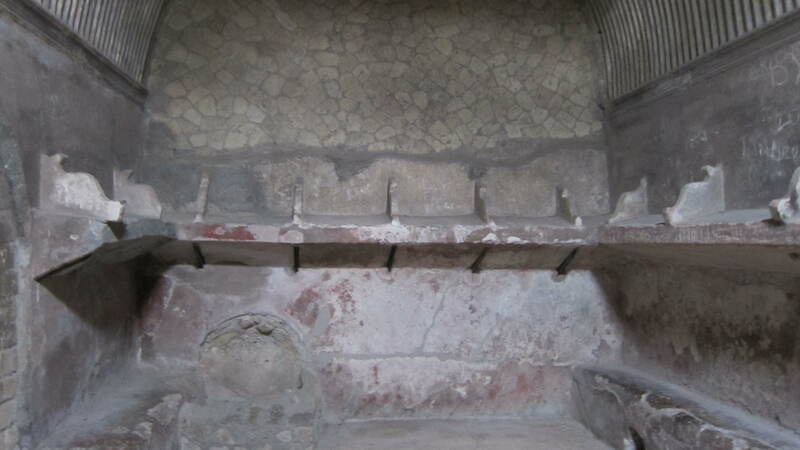 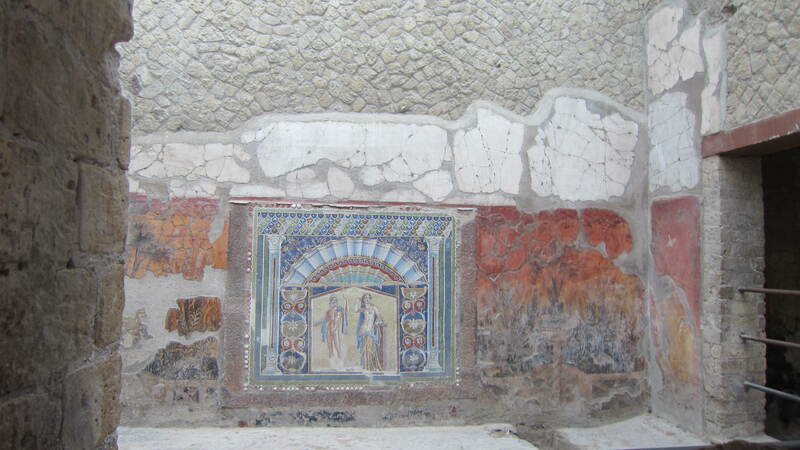 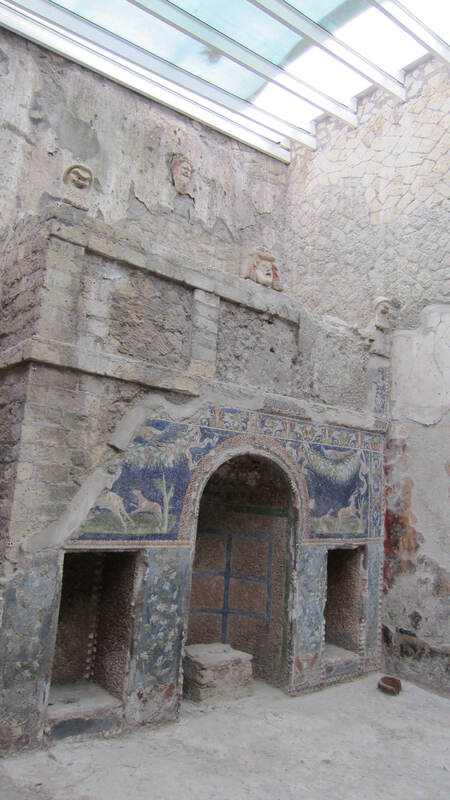 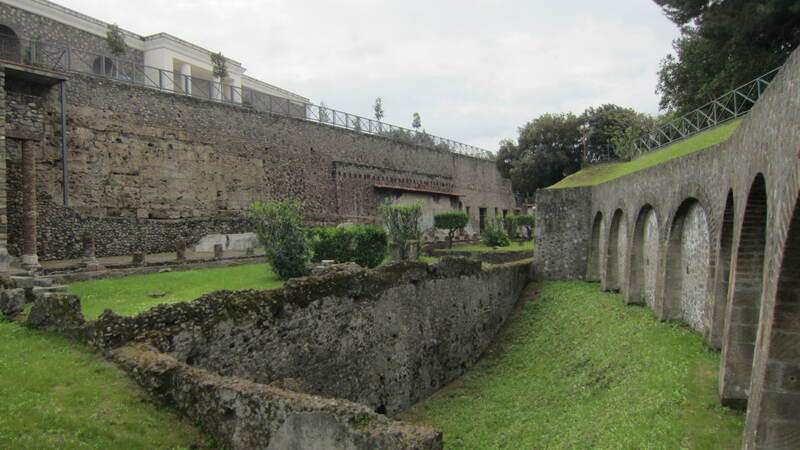 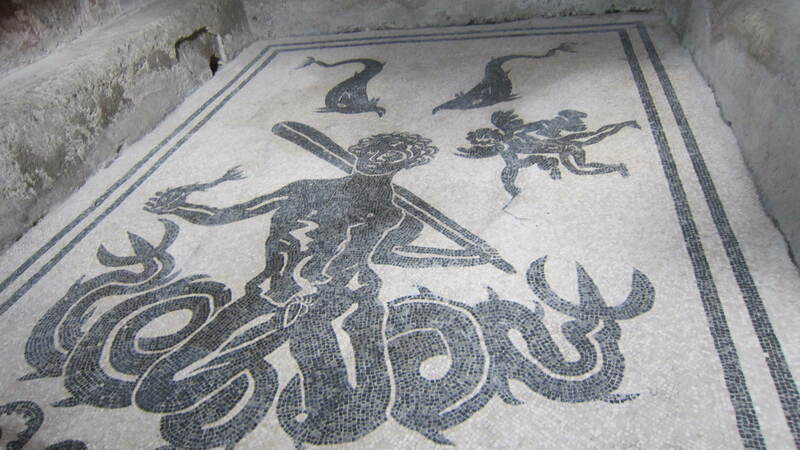 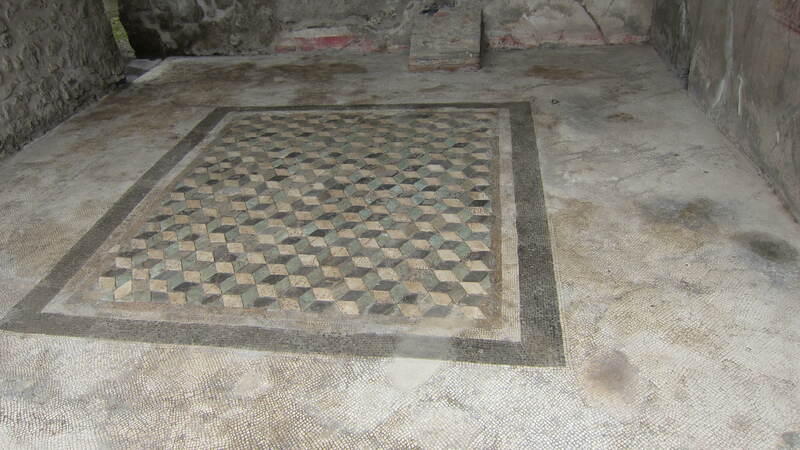 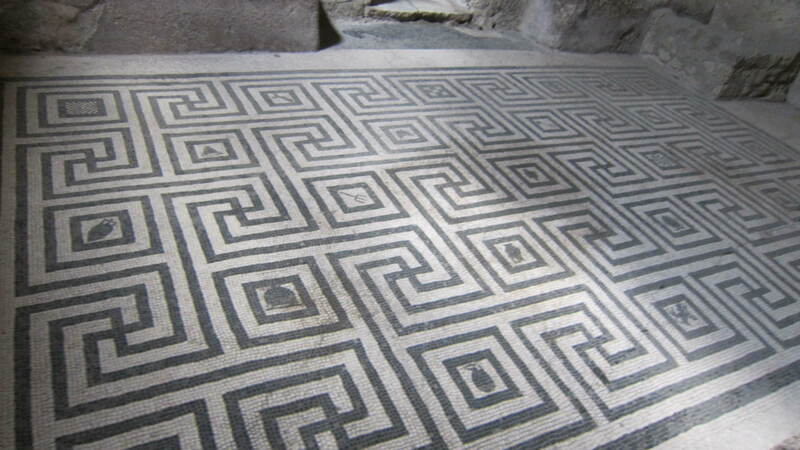 However, Herculaneum is smaller and better preserved. 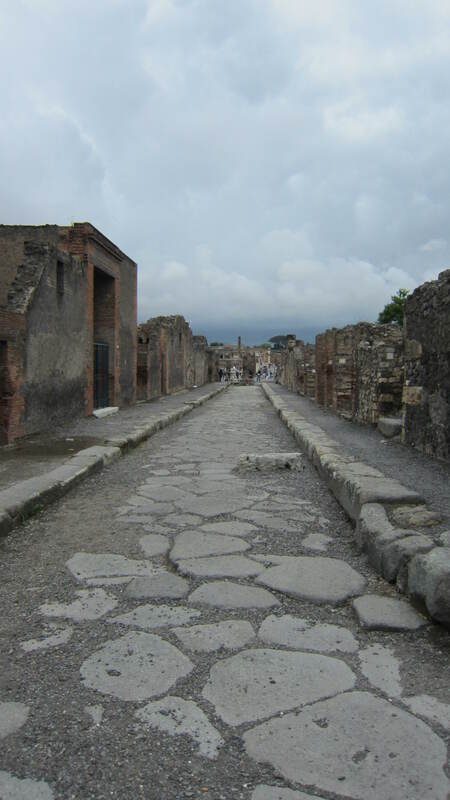 Pompeii was covered in ash, while Herculaneum covered by mud. 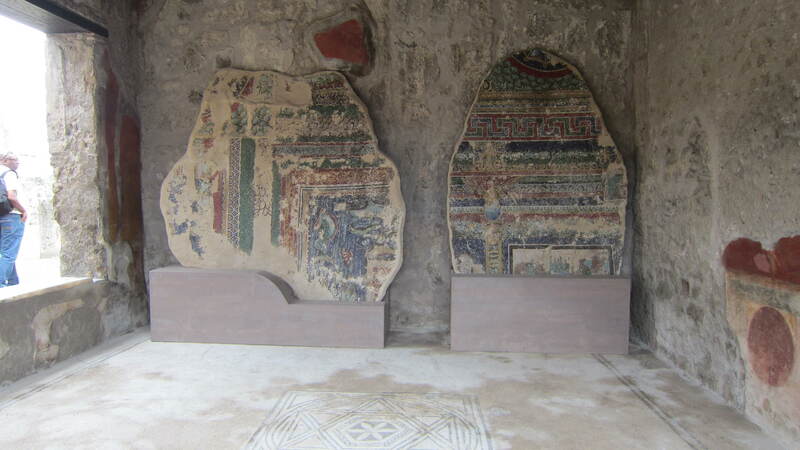 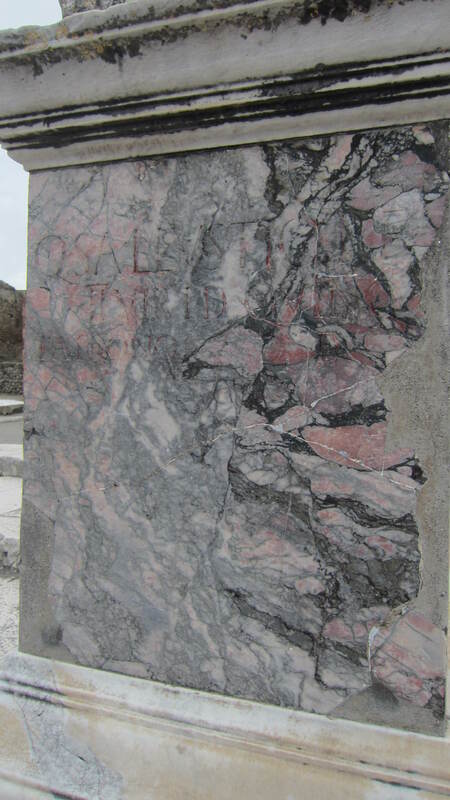 Both are incredibly impressive, well excavated, and musts when planning a trip to the Amalfi Coast. 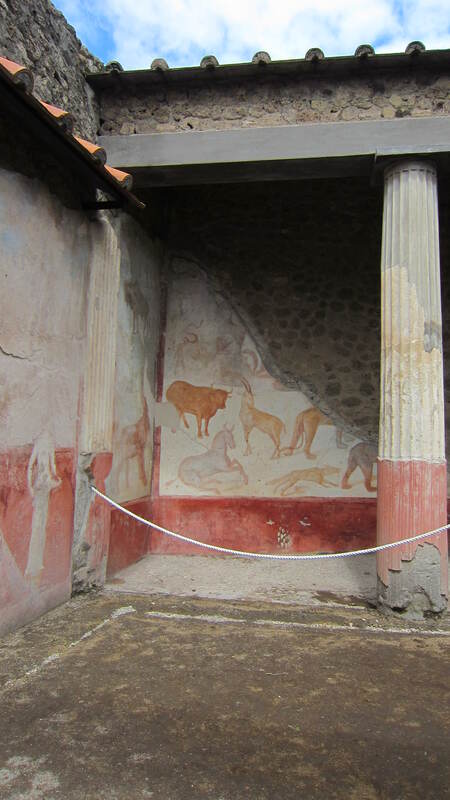 It’s also advisable to hire a private guide to take you around these sites. 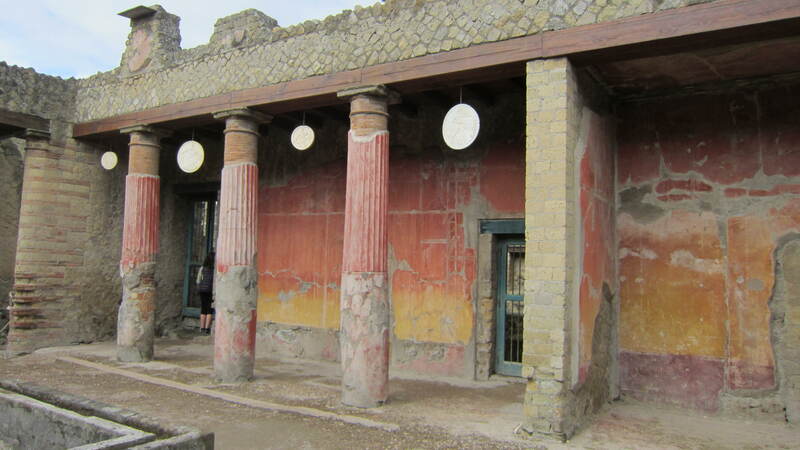 We saw many “lost” tourists fumbling with their maps and audio guides throughout the three hours we spent at Pompeii and the other two hours at Herculaneum. 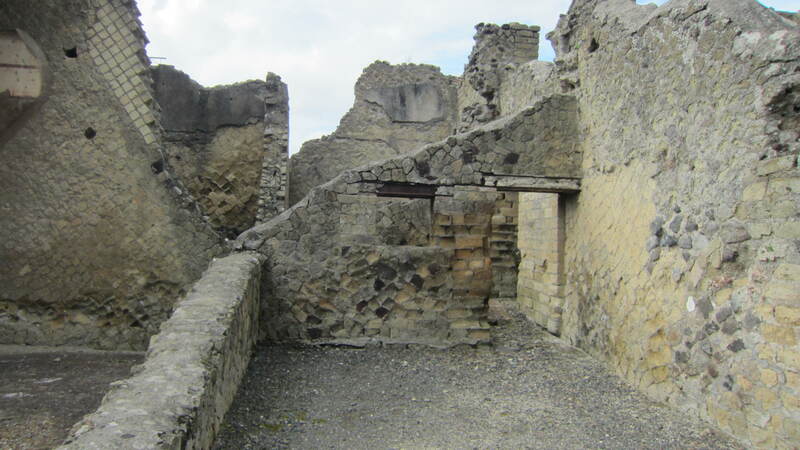 It was quite a somber day trying to imagine the tragic event that was unleashed by mother nature. 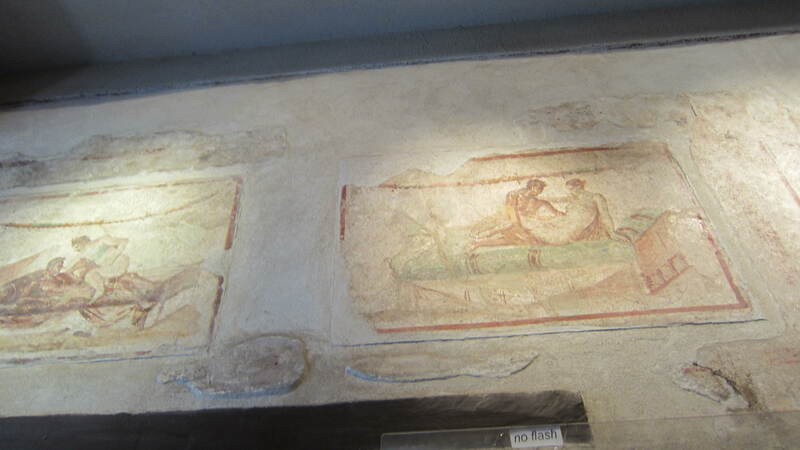 Lovely set of photos. 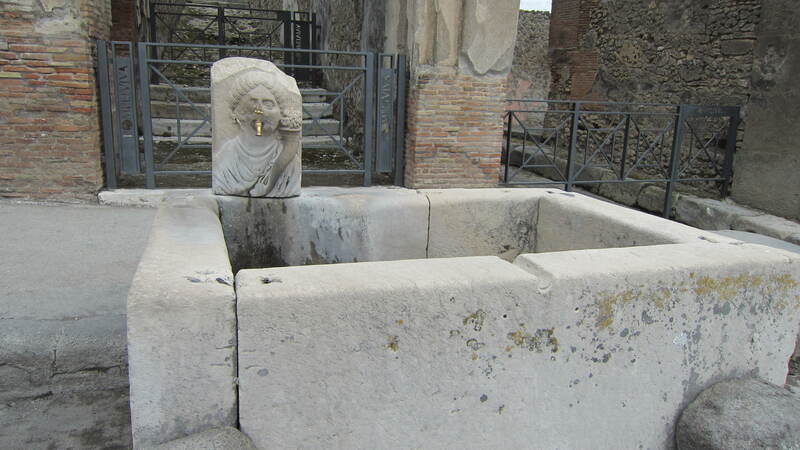 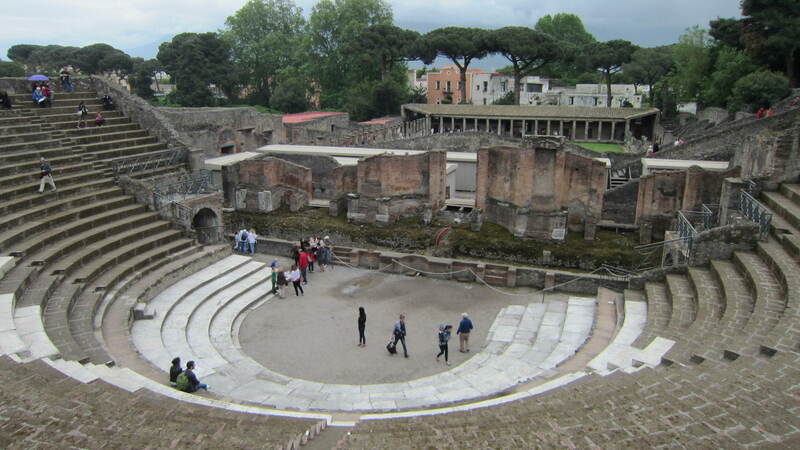 We visited Rome when the children were younger and saw the baths at Caracalla, and took a day trip to Ostia Antica rather than Pompeii. 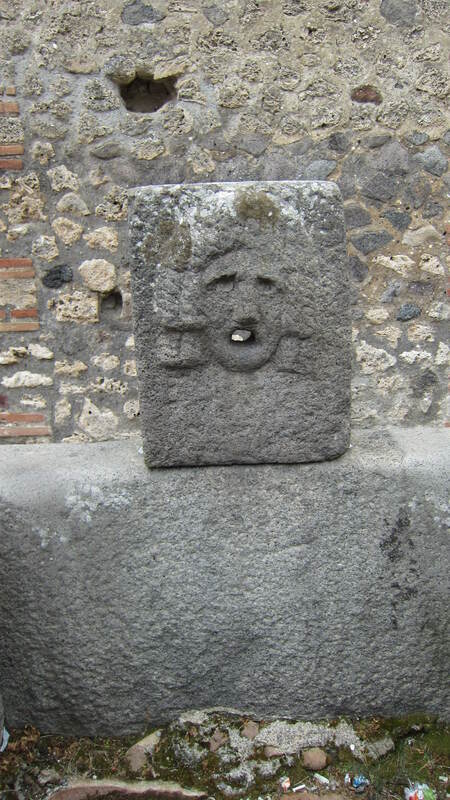 Aah, memories.